Themes: Hi-Lo, adapted classics, low level classics, graphic novel. These literary masterpieces are made easy and interesting. This series features classic tales retold with color illustrations to introduce literature to struggling readers. Each 64-page softcover book retains key phrases and quotations from the original classics. 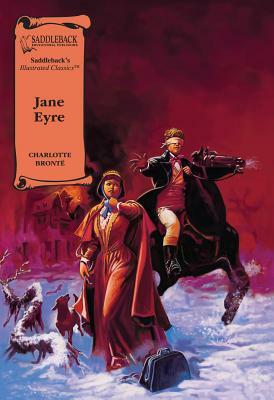 Many people think that Charlotte Bronte loosely based Jane Eyre on her own life and experiences. See how Bronte tells her story through the eyes of Jane Eyre. Even though Jane was orphaned at an early age and forced to live with her evil aunt, Mrs. Reed, she still managed to be happy. Read along as Jane travels to Lowood School and eventually to Thornfield Hall where she meets Mr. Rochester, the only true love she ever knows.